Partnering with others, we provide our customers with a choice of a safe, convenient, efficient, user-funded transportation network focusing on fiscal responsibility and promoting economic development. The Oklahoma Turnpike Authority (OTA) is an instrumentality of the State of Oklahoma (the State) and a body corporate and politic created by statute in 1947. The Authority is authorized to construct, maintain, repair and operate turnpike projects at locations authorized by the Legislature of the State of Oklahoma and approved by the State Department of Transportation. The Authority receives revenues from turnpike tolls and a percentage of the turnpike concession sales. The Authority may issue Turnpike Revenue Bonds for the purpose of paying the costs of turnpike projects and Turnpike Revenue Refunding Bonds for the purpose of refunding any bonds of the Authority then outstanding. Turnpike Revenue Bonds are payable solely from the tolls and other revenues of the Authority and do not constitute indebtedness of the State. The Oklahoma Turnpike Authority is similar to a public utility, providing a needed, basic service at a fee that yields a return to its investors. The Authority must generate sufficient revenues to operate and maintain its roads at a high quality while covering the interest and principal payments owed to bondholders (investors) who have purchased its revenue bonds. The Authority consists of the Governor (ex-officio) and six members serving without pay for eight-year terms from districts established in the State Statute. The Governor may remove any member of the Authority, at any time, with or without cause. The members are appointed to represent defined geographical districts. Authority members have full control over all turnpike operations; however, the OTA must operate in strict compliance with trust agreements that define operating procedures to be followed. The Authority employs an Executive Director to manage the day-to-day operations. The Executive Director is appointed by the Authority’s Board. "To construct, maintain, repair, and operate Turnpike projects and highways, with their access and connecting roads at such locations and on such routes as it shall determine to be feasible and economically sound." In addition to providing this responsibility to the Oklahoma Turnpike Authority, limitations were placed on the selection of toll road locations. It is the sole discretion of the Oklahoma Legislature to authorize projects considered for construction by the Oklahoma Turnpike Authority. Originally, fourteen toll road projects were approved. Today, there are 32 toll road projects authorized by Title 69, Section 1705. The Oklahoma Department of Transportation (ODOT) has been inadequately funded to provide for the maintenance of its existing highway system and also construct new routes required by expanding road usage and the demand for urban expressways. Consider that in 1990, ODOT’s share of State Appropriations was 7.2%, but in 2001, ODOT’s share shrunk to 5.8% of the total State Appropriation moneys. According to the Federal Highway Administration, of the 31 states that divert Motor Fuel Tax money to non-transportation uses, Oklahoma ranks second, diverting almost 24% of its Motor Fuel Tax collections. A Washington, D.C. based non-profit group called The Road Information Program (TRIP) released a report in February 2000 called “Future Mobility Needs in Oklahoma.” This report stated that Oklahoma’s investment level in its roads and bridges is significantly below the national average and contributes to a backlog in its ability to fund adequate road and bridge improvements. Meeting Oklahoma’s needs will require a continued commitment to timely investment in the state’s transportation facilities. As Oklahoma Department of Transportation’s share of taxes and appropriations stagnates or declines, projections of future needs show a deteriorating situation. With Oklahoma’s state funding behind much of the rest of the U.S., toll financing is a way to fund construction of new infrastructure where it is economically feasible thereby making traditional highway monies available for use in those rural areas where turnpikes could never pay for themselves. In this way, the Authority can take advantage of national bond markets at the most attractive interest rates possible. 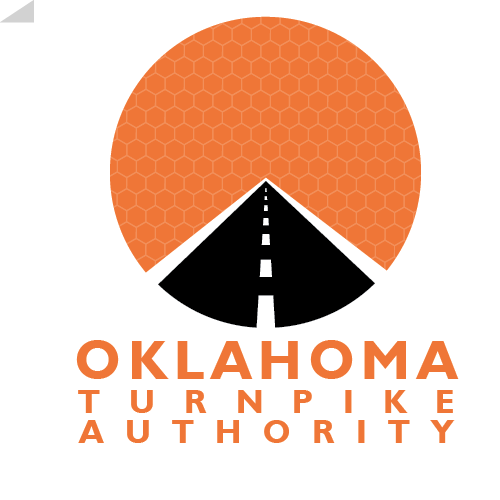 The Turnpike Authority has provided the mechanism to fund the construction and maintenance of 606 miles of expressways for Oklahoma road users since 1953. The first turnpike, Turner Turnpike, predated the advent of the interstate highway system. These roads have contributed to the economic growth, expanded productivity, and enhanced road safety for Oklahoma. Turnpikes provide a way to build and use roads now and pay for them as we use them. There is no such thing as a free road. Turnpikes operate to supplement the limited money appropriated for highway construction and maintenance. The Authority receives no tax money to operate its turnpikes. Turnpike revenues pay all operating and maintenance costs for the turnpikes and pay off the bonds issued to finance their construction. In addition, the Authority also pays nearly $18 million for the salaries, equipment and law enforcement activities of the Oklahoma Highway Patrol on the turnpike system. Besides being an alternative to state funded roads, state-maintained roads receive motor fuel tax money generated by those driving on turnpikes. Under the Authority’s Enabling Act, and amendments thereto, a portion of the motor fuel excise taxes collected on fuels consumed on the turnpikes is made available to the OTA from the Oklahoma Tax Commission. Since July 1, 1992, the motor fuel tax monies have been apportioned to the OTA on the first day of each calendar month. All motor fuel taxes apportioned to the OTA are available to fund debt service; to the extent monies are not otherwise available. If such motor fuel excise taxes apportioned to the OTA are not necessary in such month, the fuel tax monies shall be paid over immediately to the Oklahoma Department of Transportation. Since 1992, the Authority has received, and immediately remitted to ODOT over $900 million. Roughly 40% of the toll revenues collected on OTA turnpikes is generated from out-of-state motorists. If tolls were eliminated, the State would have to spend at least $125 million per year from gasoline taxes to maintain existing turnpikes.